Pet Shop Boys. -I think the whole celebrity dog thing is over. How many Chihuahua`s do they need? At some point they want somebody who can listen and talk, says Gorilla Man 0.2. 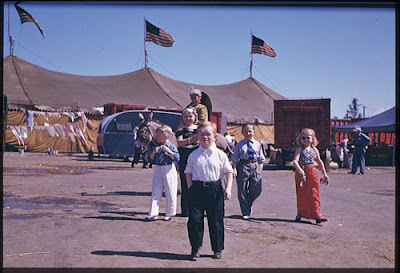 -Therefor I`ve opened a home for lost midgets where famous people can come and buy midgets. -It`s way better way for us to live cause the spotlight it`s on 24/7. Once the circus show is over it`s back to running under the tables for crumbles. -Every small person will tell you they hate fighting with dogs for leftovers. Or living in doghouses while eating the dogs. We can only sleep so many nights in one place before hunger gets us and we have to find a new doghouse. -There`s plenty of advantages with midgets. We can walk the red carpet. Celebrities don`t have to carry us while getting interviewed and they don`t have to worry about us poop on them live on camera. -To make the cash adoption easier I`m launching a food line for specially for Midgets called Dwarf Food. It will be in retailers all over the world next to the dog food. It`s all eat out of the box and ready to go. No add water or cocking stuff. It`s so easy. Adopting a midget has never been easier. Tornado Victim Looks At Sweden Riots: Why?